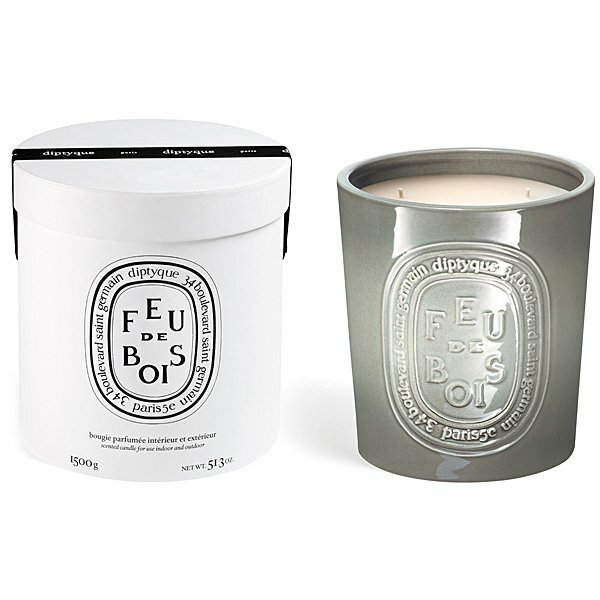 Diptyque Feu de Bois (Wood Fire) XL Indoor & Outdoor Candle is a very sophisticated blend of rare wood essences that evoke the characteristic fragrance of a wood-burning fireplace on a long winter day. A Diptyque top seller. This hand-made earthenware vessel was chosen for its rustic look & touch, contains 5 wicks and takes no fewer than 9 distinct operations to complete. Burn these candles for 3-4 hours at a time. Candle fragrance is equivalent to burning 2 standard candles at the same time.